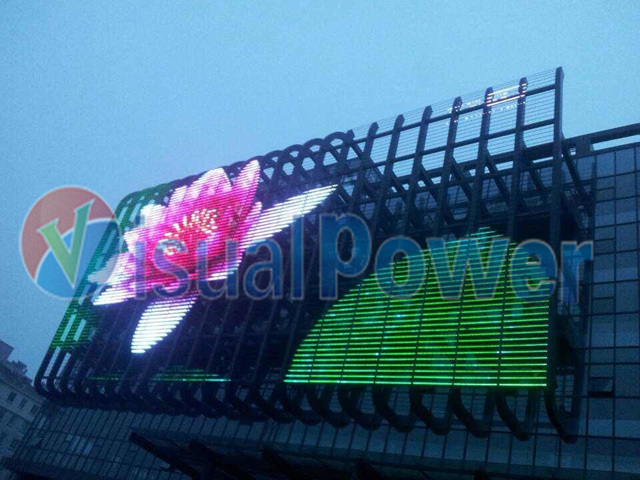 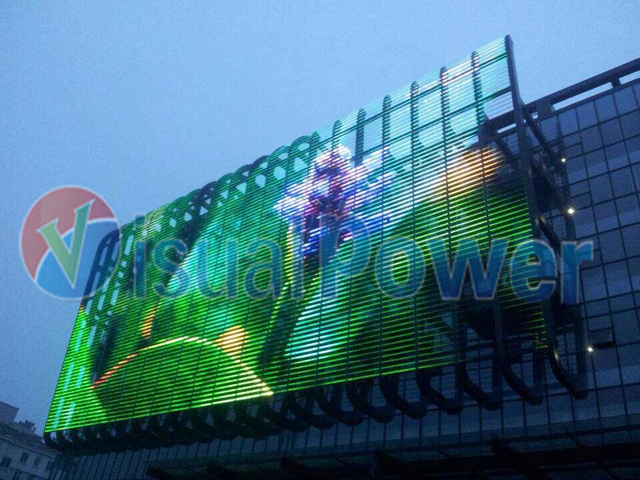 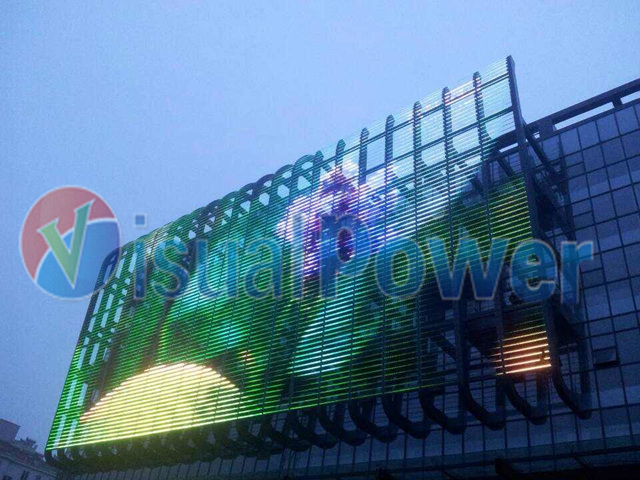 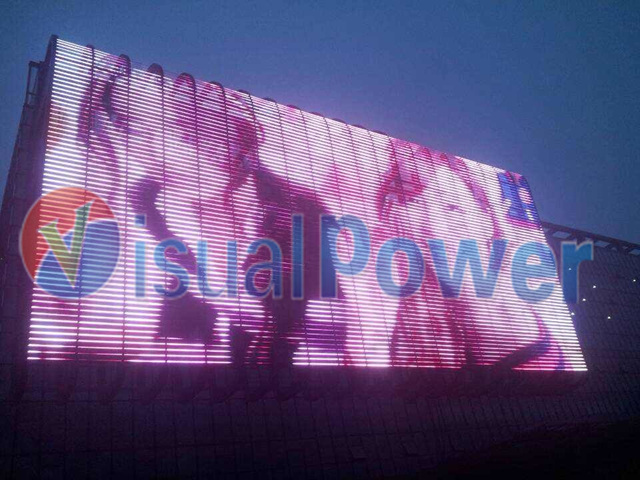 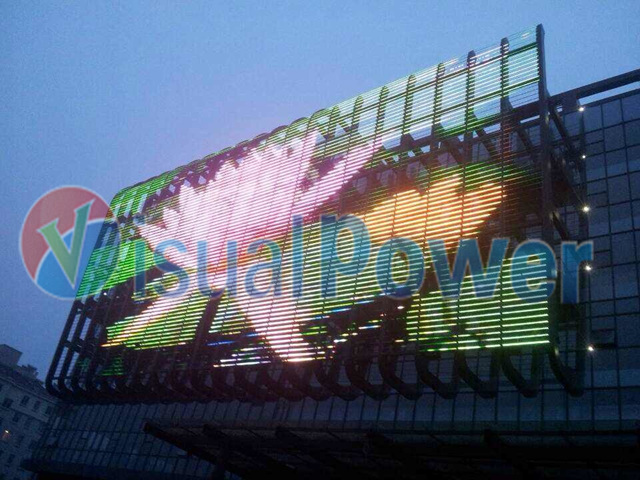 If you have a large building with glass wall or concrete and you want to cover the whole building surface with a giant LED wall, and at the same time, you do not want to change anything of the surface of the building and the existing structure, This product design from Visualpower will be the right choice. 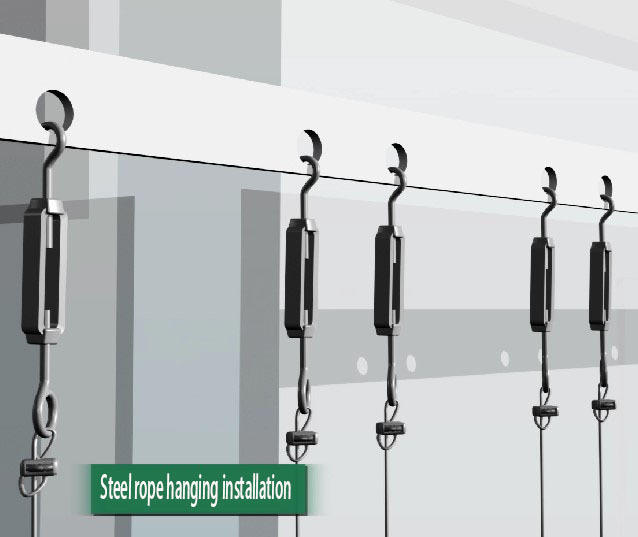 Simply hang the display by steel rope, It is completely transparent and will not block the sunshine and the view inside the building. 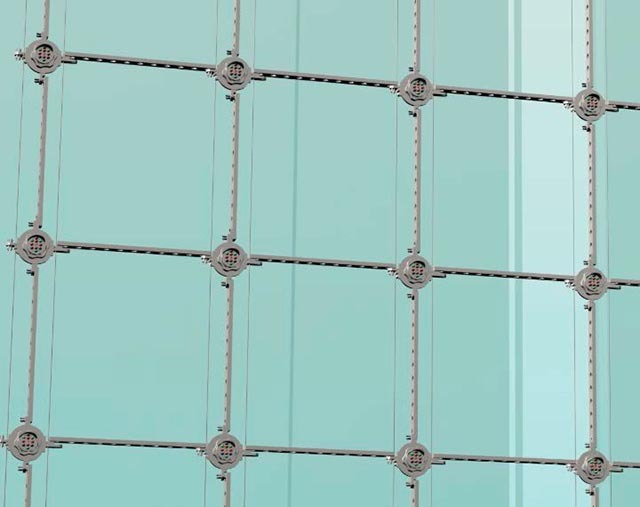 Completely water-proof and rugged, suitable for 24/7 use in all extreme condition. 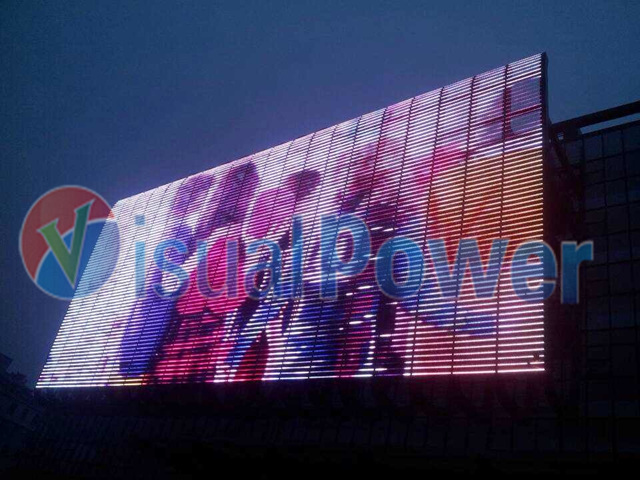 Any special shape is supported, no matter it is a giant globe, cube, circle, round shape or pyramid, This design can make you operate each pixel like painting. 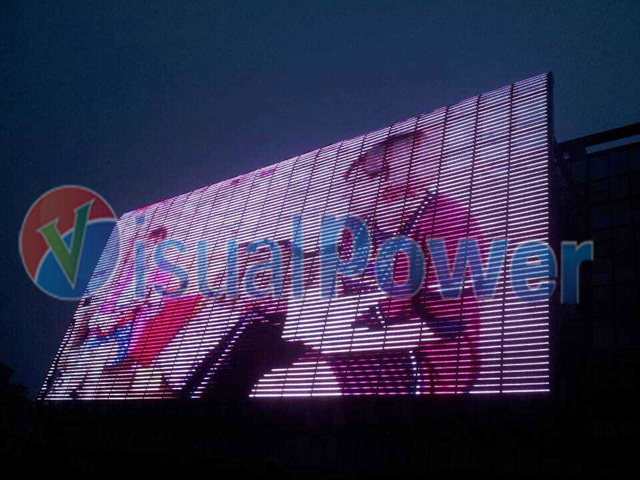 9) 28M rich color, true color display. 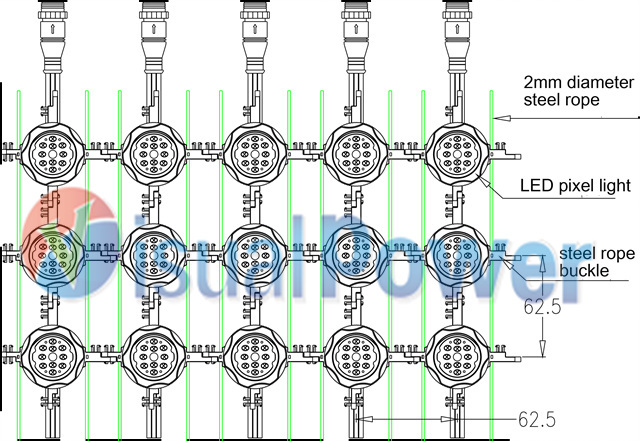 10) Long distance power transmission without recession.